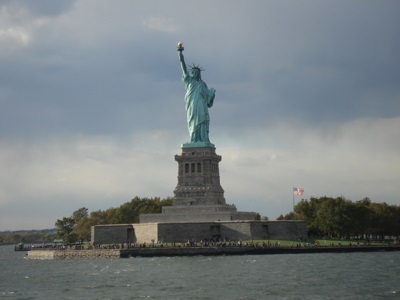 Welcome to Travel Guide 2 USA, the site about travel, tourism and vacations in the United States of America. The United States of America is the 3rd or 4th largest country in the world in terms of geographical area (after Russia, Canada and possibly China, depending on how territories disputed between China and India are counted), and also the 3rd most populous (after China and India). 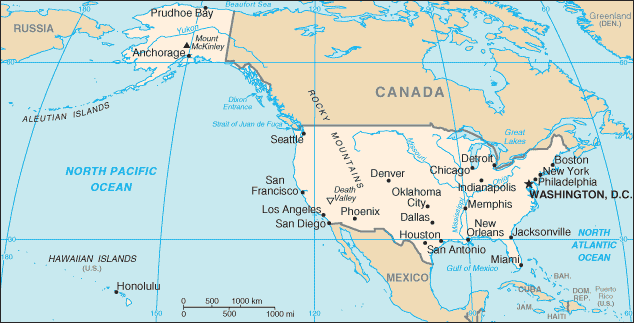 Most of the country is located within the continent of North America, the largest part of which, known as the "48 contiguous states" stretching between the Atlantic and Pacific Oceans, bordered to the North by Canada, and to the South by Mexico. Additionally, the state of Alaska lies in the Northwest of the North American continent, bordered to the East by Canada, the state of Hawaii is an island group in the middle of the Pacific Ocean, and there are 14 territorities and insular areas (including American Samoa, Northern Mariana Islands, Puerto Rico and the US Virgin Islands) scattered across the Pacific Ocean and Caribbean Sea. As of 2007, the United States had an estimated population of 302,552,000. This includes approximately 12 million unauthorized migrants. The United States is the only industrialized country where significant population growth is expected - this is because of a relatively high birth rate as well as continued immigration, especially from Mexico, China, India and the Philippines. 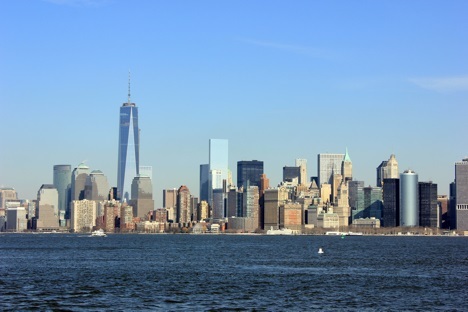 Over 83% of the US population lives in one of the country's 361 metropolitan areas. The country contains over 250 incorporated places with populations over 100,000, nine cities with populations of over 1 million, and four cities ( Chicago, Houston, Los Angeles and New York) with populations of over 2 million. 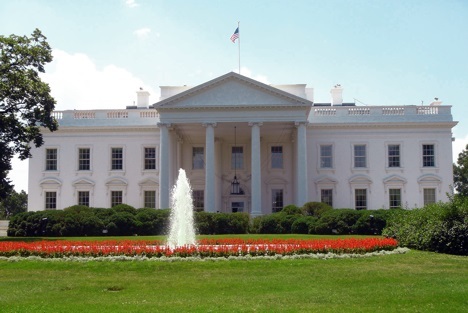 The capital of the United States is Washington D.C. which has a population of just under 600,000 in the city itself, but comfortably over 8 million in the metropolitan area. The United States has a successful capitalist economy, a modern infrastructure and high productivity. The United States has the largest national GDP in the world, slightly ahead of the combined GDP of the entire combined European Union GDP. The country is the largest importer of goods in the world, and the second largest exporter. Additionally, the US is 8th in the world in terms of nominal GDP per capita, and 4th in the world in GDP per capita measured by purchasing power parity.